Are you sure you want to remove Epistolae Ho-Elianae from your list? 1907, Houghton, Mifflin and Co.
Epistolae Ho-Elianae. : The familiar letters of James Howell, historiographer royal to Charles II. 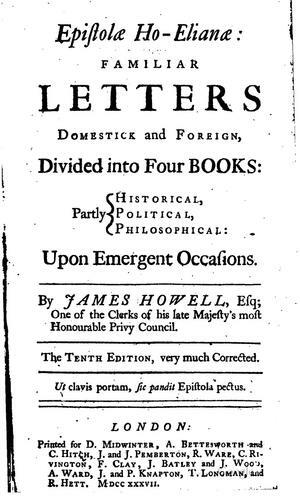 Epistolae Ho-Elianae: the familiar letters of James Howell. Epistolæ--Ho-elianæ. 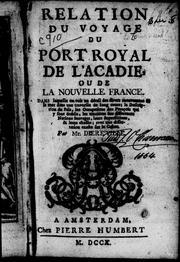 : The familiar letters of James Howell, historiographer royal to Charles II. Epistolae Ho-elianae. : Familiar letters, edited, annotated, and indexed by Joseph Jacobs. 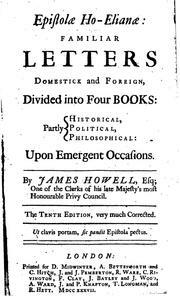 Epistolae Ho-Elianae: the familiar letters of James Howell, historiographer royal to Charles II. Epistolae Ho-Elianae. : The familiar letters. 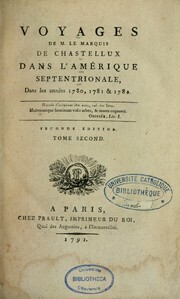 Edited by Joseph Jacobs. Epistolae Ho-Elianae: familiar letters domestic and foreign; divided into four books: partly historical, political, philosophical. Upon emergent occasions. in English - 11th ed., very much corrected. Epistolæ Ho-Elianæ: familiar letters domestick and foreign, divided into four books: partly historical, political, philosophical: upon emergent occasions. 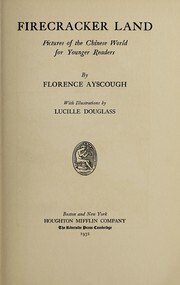 in English - The ninth edition, very much corrected. in English - The tenth edition, very much corrected. 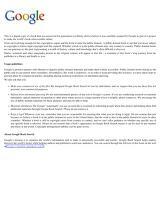 - The tenth edition, very much corrected. Microform in English - The tenth edition, very much corrected. Microform in English - The ninth edition, very much corrected. in English - 9th ed., very much corrected. Epistolæ Ho-Elianæ: familiar letters domestick and foreign, divided into four books; partly historical, political, philosophical. Upon emergent occasions. in English - The 9th ed., very much corrected. 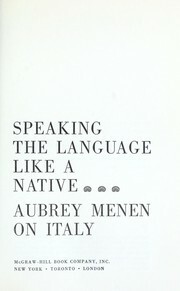 in English - The third edition. 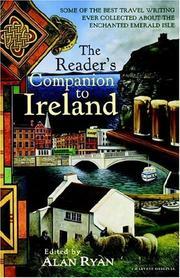 With a fourth volume of new letters never published before. Microform in English - The third edition with a fourth volume of new letters, never published before. in English - 3rd ed., / with a 4th vol. of new letters, never published before. in English - The second edition, / enlarged with divers supplements, and the dates annexed which were wanting in the first, with an addition of a third volume of new letters. Microform in English - The second edition, enlarged with divers supplements, and the dates annexed which were wanting in the first : with an addition of a third volume of new letters. in English - 9th ed. Very much corrected. Publish date unknown, printed for T.G.